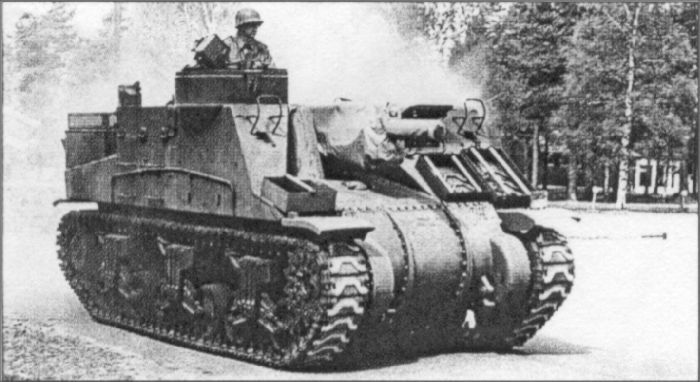 The Norwegian Army was one of many post-war users of the M7 Priest 105-mm Howitzer Motor Carriage. It was the first (and for a long time the only) self-propelled gun in Norwegian service. The first battery was established in May 1957 as battery Gamst at Haslemoen artillery camp (east of Hamar) with (four?) M7s. These were leftovers from a US artillery company and stored in 1945. This trials battery was an active unit during May 1957 - May 1958, and then went on mobilisation status. War exercises were held in 1960, 1963 and 1966. 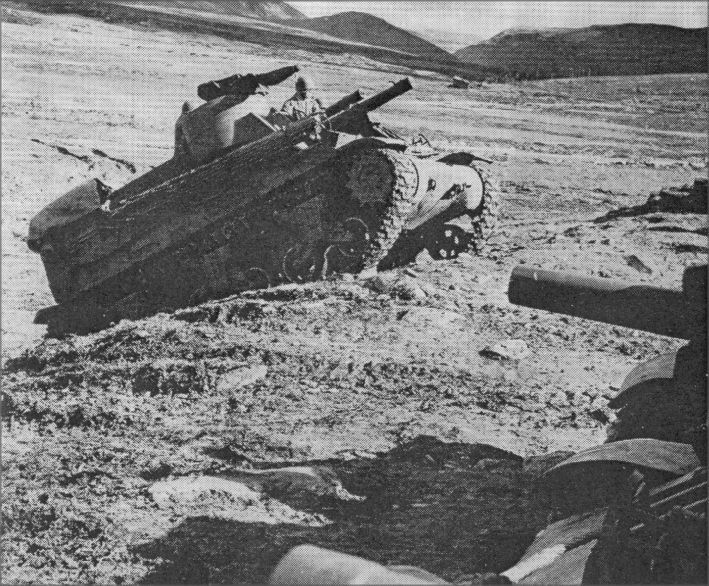 Two M5 Half-tracks were used as CP vehicles. In 1960 twenty-two M7 Priests were overhauled in France and sent to Norway under the MAP. The M7s were transferred to Field Battery Battalion / Brigade North at Setermoen in county Troms (east of Tromso). It was planned to equip Battery N and P with eight M7s each, while six were to be held in reserve. Because the M7 was old and spares were a problem, only Battery N was operative with eight M7s during 1960-1969. The rest of the M7s were cannibalised for spares. at Hjerkinn artillery range, Norway. So, during the mid and late 1960s, M7s still made up 36% of the active artillery battalion's strength - they were even the only self-propelled guns. In 1969-1970 the M7 105-mm HMC was replaced by the M109G 155-mm SP Gun. But the 105-mm howitzers remain in service. They were used as fixed fortress artillery both in forts and single bunkers. These fortifications are still classified. Most of the hulls were scrapped and today only one M7 is known to survive. The sole surviving Norwegian M7 was restored to running condition in 1983 at Haslemoen artillery camp and is now regularly driven on meetings and shows. 'Artilleriet 300 aar 1685 - 1985'. Norsk Artilleri-tidsskrift. Gamst, Thorbein, Befalsskolen for Feltartilleriet 1931 - 1996. Artilleriregimentet, ISBN 82-994652-0-6. Gamst, Thorbein, Skyteskolen for Feltartilleriet Historie 1891 - 1986. Artilleriinspektoeren, 1989. Gamst, Thorbein, 'Haslemoens Historie'. Norsk Artilleri-tidsskrift, 1984/1. Gillingsrud, Kjell, '25-aars Jubileum for M-7'. Norsk Artilleri-tidsskrift, 1983/3. Grinden, Oddbjoern, 'MFAbn/Brig N'. Norsk Artilleri-tidsskrift, 1988/3. Haeren, etter annen verdenskrig 1945 - 1990 (the Norwegian Army after WW II 1945 - 1990). Fabritius Forlag, ISBN 82-90545-16-9. Lundesgaard, Leif, Brigaden i Nord - Norge, 1953 - 1995. Elanders Forlag, ISBN 82-90545-51-7. Zeiner-Gundersen, H.F., Norsk Artilleri Gjennom 300 aar. Agdin Forlag, ISBN 82-7360-003-3.